Crystal Blogs Books: March Challenge Update: How am I doing? March Challenge Update: How am I doing? Hello friends! I'm going to be honest here, I had every intention of making a pretty 3 month challenge update with graphics and fun charts. I even started working on them last week. Then I remembered how much I hated pie charts in college. Blech! 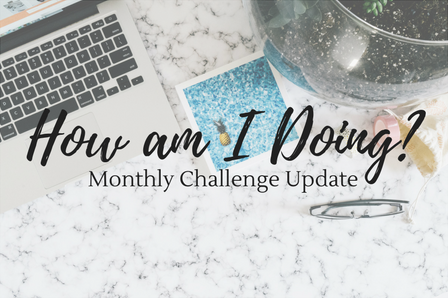 So instead of pretty 3 month challenge updates, I will now do a pretty 6 months update in July. I haven't updated the Blog All About It challenge because I've gotten a bit lax with it. In all honesty, I don't see myself continuing with it beyond this point. There is one prompt that I will do in May, but I think that'll be it. I'm still doing pretty good with the Blogger Shame Challenge. This is the best I've done ever. April isn't as busy for me review wise, so I hope to visit some blogger shame books this month. Since I only use new authors for the Try Something New challenge, it looks like I'm behind. If I added new series and new genres, I'd have more completed. I just love using it to track new-to-me authors. And since I'm reading a lot more historical romances, that opens up a whole new world of authors. Yay! I finally picked a troupe!! I'm going to focus on enemies-to-lovers. It's a troupe that I love, but haven't read a lot of lately. That's the main reason why I picked it. 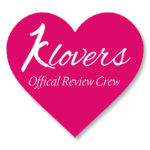 A couple days ago I did a blog post listing the enemies-to-lovers books that are on my TBR. Grand slam! Challenge completed!! Not at all surprised because I pretty much only read contemporary romance. I'll still keep track to see how many I read in 2018. I still haven't picked a series, but I'm leaning towards Laura Trentham's Cottonbloom series to start out with. I adored the 2 books I read and I really want to go back to the beginning. I'm also toying with the idea of starting Catherine Bybee's Not Quite series this month before meeting her at the LA Times Festival of Books in a couple weeks. Half way! Woot! I think I'm getting better at remembering this challenge. I read bad boys all the time, but I usually forgot to add them to this list. I think I'm on track with this one. I do know I should have more done as I have a backlog of 5 or 6 books that I still need to review. Hopefully I can pick up the pace a bit. Almost completed! I love this challenge. The 1st thing I do when I finish a book is to go through the list and see if there is anything I can cross off. I love discussion posts! It took me awhile to embrace them, but I actually really enjoy working on them now. Shocked the hell out of me. Wow! That's quite an update. How are your challenges going? Oh wow, you're doing so well with all of your challenges! I missed the first Blog All About It, but I did February and March and I HOPE to continue. I'm also doing the discussion challenge, and I've done a few of those. I have ideas for future posts; I just need to work on more of them!